Do your shoes match your belt? Well it’s the end of February already, imagine that it’s been snowy and cold. Eh I’m used to it, it is New England after all. Not too much to report really, lots of cold and shoveling so there hasn’t been a lot of activity save for the 3 times a week The Kid goes to TaeKwonDo. He seems to really enjoy it and it helps to expend some of his extra energy. 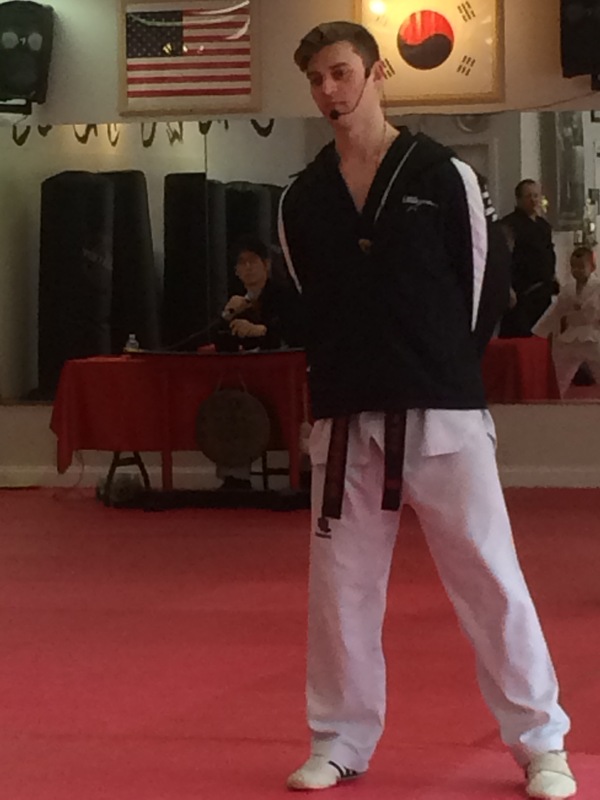 This past Saturday was the monthly belt test. 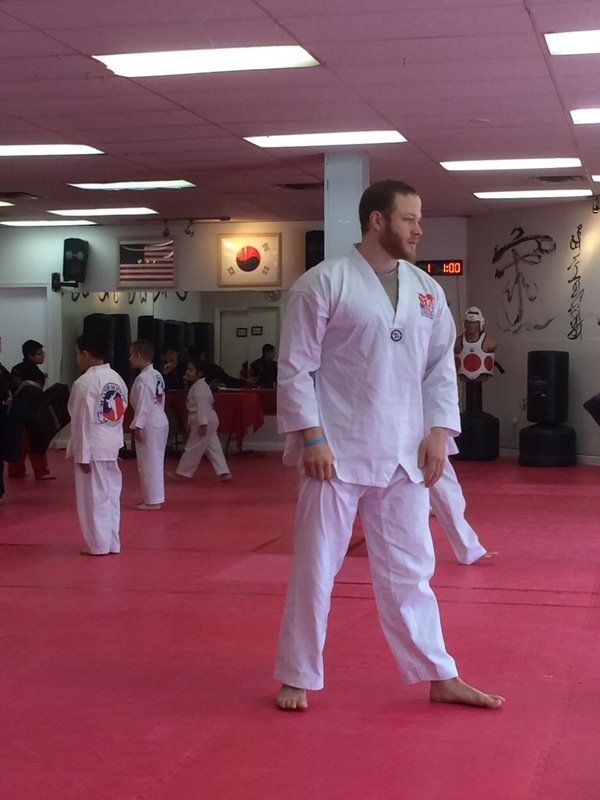 All of the students who are eligible show up to take the test no matter what color they are going for, except those going for Black Belt. They start at no belt and the first one to test for is White. 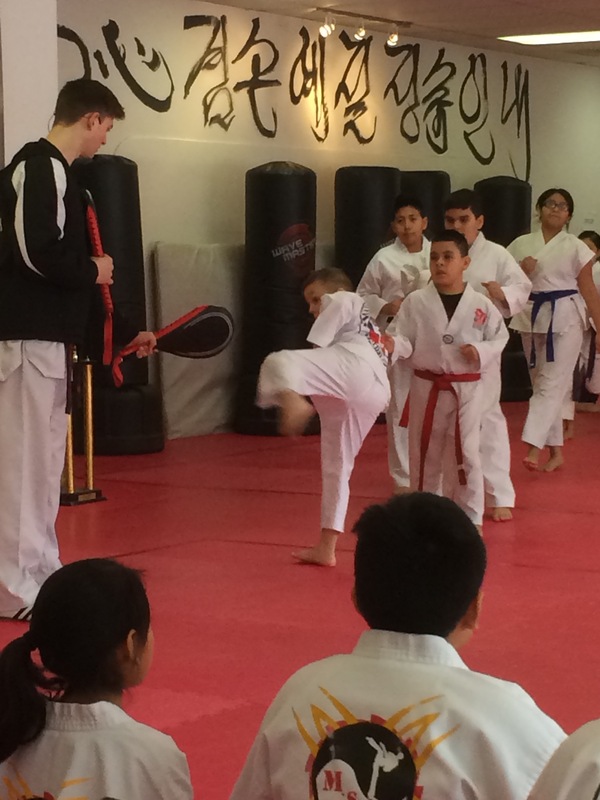 Here is The Kid doing some Kick Moves as part of his test. This is another student who was going for his white belt. At least this made for some fun watching adults play along. This is LJ he is one of the instructors. I love sitting there when he is teaching and something strikes him as funny (usually one of his own jokes) as he has a very distinct laugh. By far this is the best piece of mail we have received in many many weeks, well if you don’t count Christmas Cards. 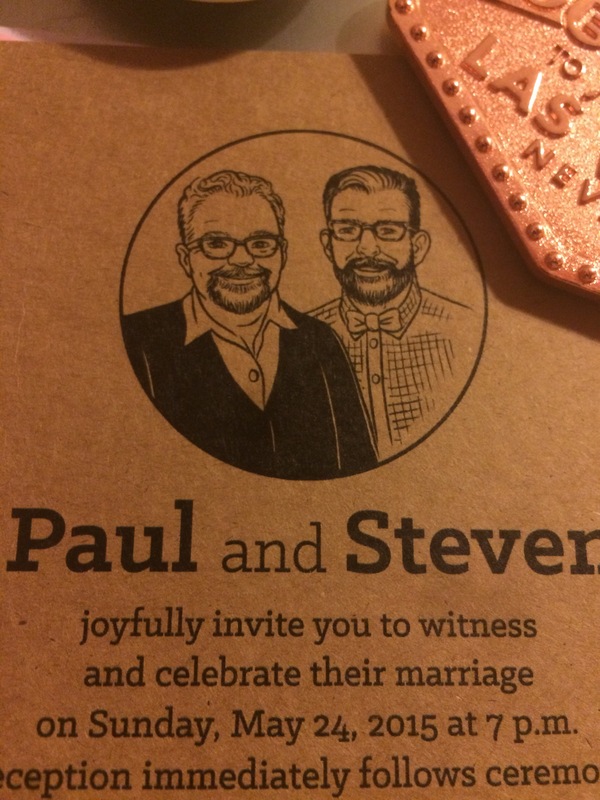 I am so excited for our friends wedding in May, it coincides with the Hubbies Birthday weekend as well as Meat-A-Palooza on Memorial Day so it will be a fantabulous weekend. The Hubby is headed off for a work trip next week, we’ve lined up a trip to the Orchid show at the Botanical Garden the following week. Spring is around the corner so I am hoping to get more updates in between the bowling updates. My starting average going into the night was a 158, my average is now 157. I guess I’m going to hover right around here for a while. This week we played Team Lickety Splits (aka The Bowling Wives). Sadly Ms Boobalicious Lisa wasn’t there this week. We still had fun bowling against them like we always do. We took all 3 points for the week dropping us into 3nd place going into the midway Position Round. Next week we play Team Double Wood. These ladies are pretty good, the best part is our good friends daughter is on this team. We had a great week this week! My starting average going into the night was a 157, my average is now 158. This week we played Team 69’ers this is another I believe all straight team. One of the guys is the son of our friend Bill who runs the league. We took all 4 points for the week pushing up into 2nd place. Next week we play Team Lickety Splits who are our Bowling Wives! I love bowling with them. Some bad weather kept a few teams away last night which may have helped us this week. My starting average going into the night was a 159, my average is now 157. This week we played Team Spare Me 3 of the team members are from last year on a different team and 2 are new members to the league. We took 3 points for the week pushing up into 4th place. 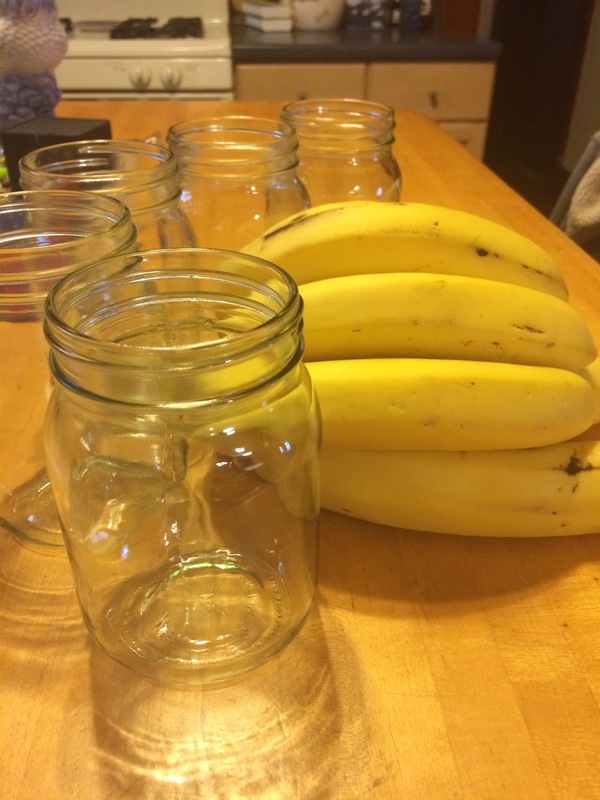 Yes I am thinking about 4 non blondes….mainly because everyone who revolves around these pictures is not a blonde, except for the vanilla pudding. 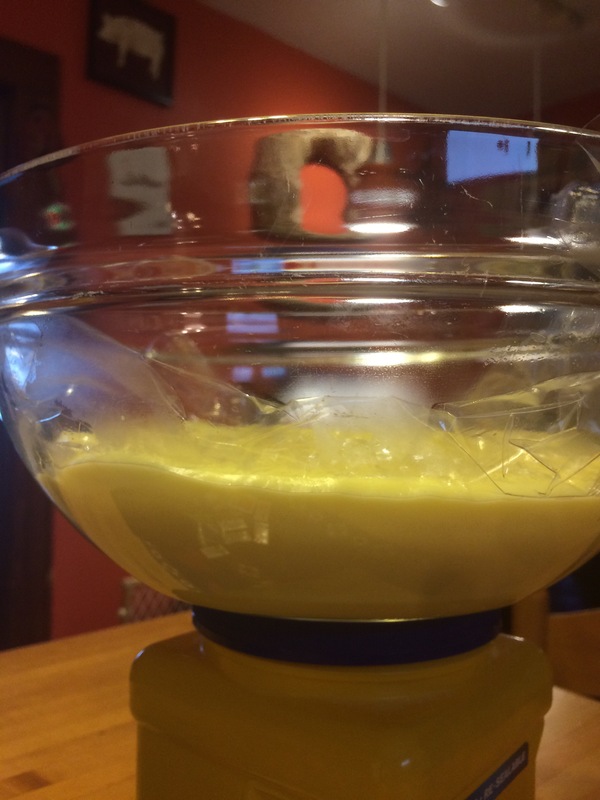 While we are on the subject of the vanilla pudding, it was a portion of a fabulous dessert I made for a dinner party we attended. 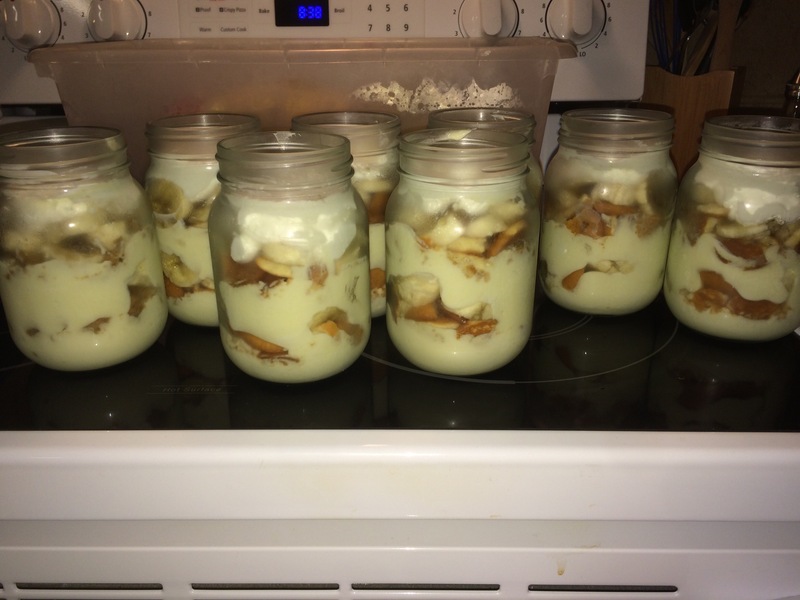 I paired with some Nilla Wafers, Bananas and Mason jars and voilá you get Banana Pudding Parfaits. 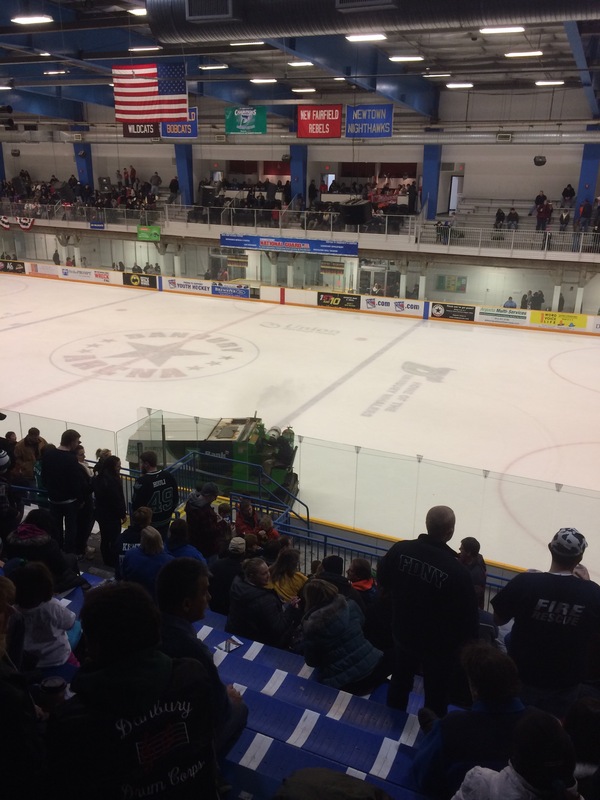 Last month the Drum Corps had the privilege of playing the National Anthem at a local Hockey Game. This is the 2nd time we have done this, and as a bonus we all got to stay and enjoy the game. I am not a sports fanatic but I did enjoy seeing the Zamboni go by and clean up the ice few times. This is Walt. Walt is old and crochety. Walt kinda has his own blog. Walt is a crazy cat lady. Walt is a wonderful friend and embodies the phrase “If you have nothing nice to say, come sit next to me”, which is why we get along so famously. The Hubby, The Kid, and I had a nice outing with Walt and Nana Ken meeting up for lunch. 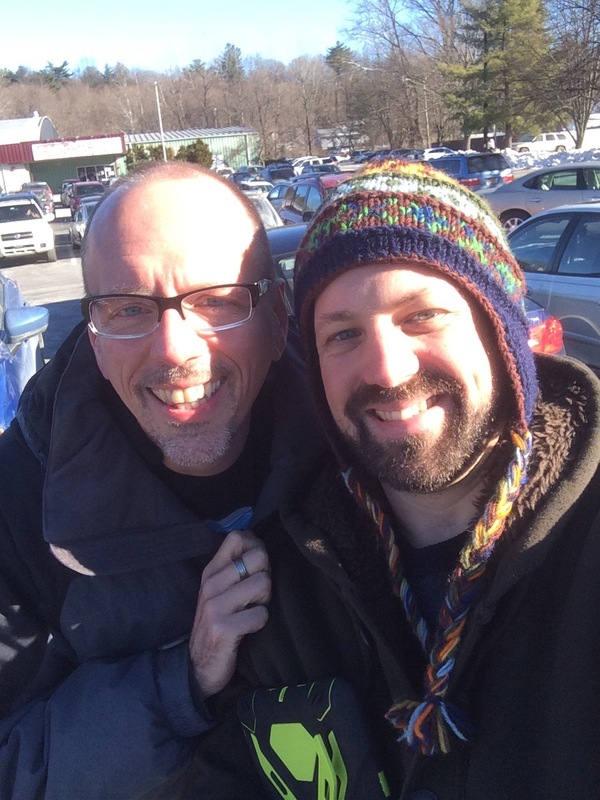 We try to get together once a month or so, every now and again life gets in the way and we go longer, but we always have a good time. Cheers! 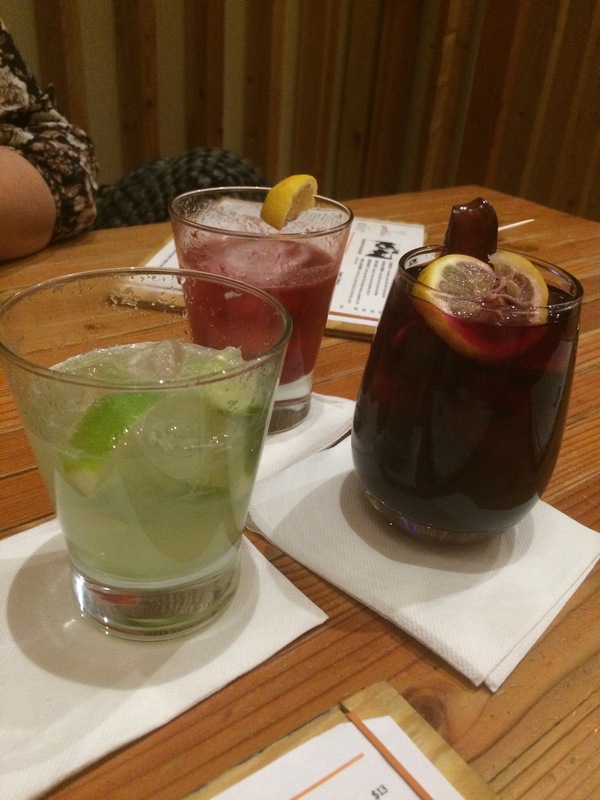 These are the drinks of the Ladies who Lunch, yes I know one of them was mine (the green one). My work wife had a beautiful baby girl back in November. She has been out of the office since then. I miss her. She wanted to have an adults night out so we got together with another coworker for Noodles. Man I wish this place were close to home. 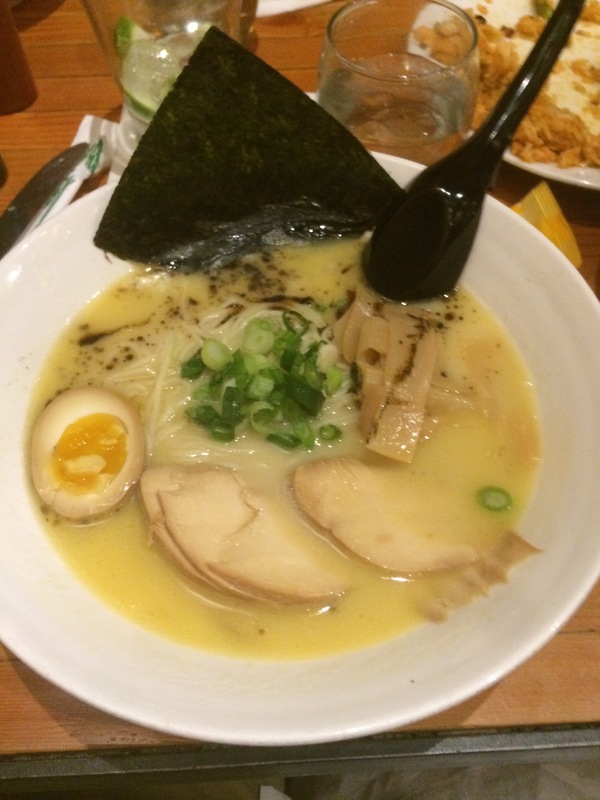 I never knew what I was missing until I had this amazing bowl of Ramen with Chicken. It was amazing, perfect for the cold cold winter night we all met up. Noodles and broth and chicken Oh My! It was great to see the Swife as well and catch her up on the goings on around the office. As is always the case in January we deal with shuffling and moving of accounts and reps and support people. 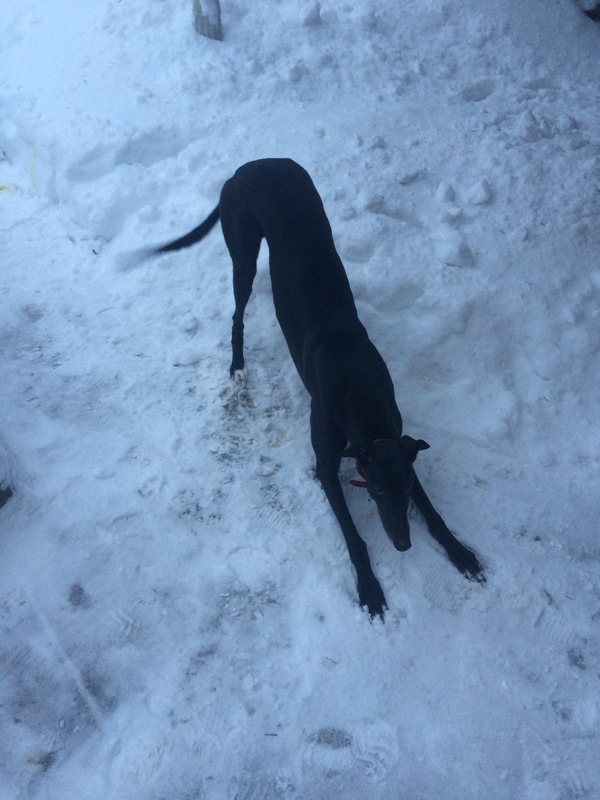 I am not sure what Mabel thinks of the snow. All of the snow, lots and lots of snow, every other day. But I digress, she seems to be handling it well, she runs and jumps and play bows, and then she comes inside quickly cause she ain’t no fool. 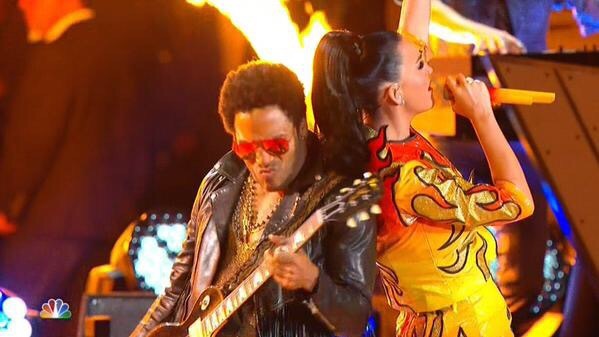 It’s nice to see Cinna and Katniss together again…..too soon? Yes this is the takeaway from the Super Bowl. To reiterate, I am not a sports fan. We decided to go to my uncles house upon his invitation for a super bowl party. As I stated to him, we are just here for the family time and the food, not necessarily in that order. I told his Girlfriend I was just there for the Tight Pants and the commercials, she agreed. The halftime show was entertaining. Some of the commercials were also entertaining. Some were not. And then it snowed again. And there were school delays, and more school delays. As much as I don’t want to complain and rush things, I’ve had my fair share of snow, but eh what can ya do about it. Bowling is going well, we were off a week for the Super Bowl, but we get back at it this weekend. Hope the days and nights are treating you well.